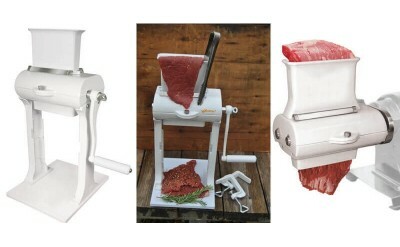 Meat tenderizers turn that tough piece of meat into something you can chew. They work great for making cube steaks. You can find electric meat tenderizers, manual hand crank tenderizers and even smaller kitchen models. Cubers are perfect for the home user.